Every month, this ministry sends out dozens of free study guides to young people who are part of our "Keep the Faith!" Pen Pal Project. Below is a sample lesson from one of those study guides. After reading it, we pray that you will see the importance of this work and encourage your child or grandchild to sign up for these free mailings. Can you tell the future? No, of course you can't. But don't you wish you could? Imagine all the wonderful things you could do with the power to predict the future. You wouldn't have to study for any more exams because you would already know the questions before the teacher put them on the test. Dating would be much simpler. No more worrying about who to ask out or whether they will say yes or no. Just look into the future and there's the answer. I think all of us would agree that anyone possessing the power to predict the future would have to be a very special person - perhaps even super-human or a god. If I could prove to you that the Bible has the power to predict future events, would you then be convinced that its author could only be God, the Creator of all things? Did you know that the Bible was written over a period of about 1600 years by some 40 different men who spoke at least 3 different languages? If for no other reasons than these, you have to admit that the Bible is an amazing book. Despite the enormous odds against it, the Bible's harmony and accuracy have never been matched. Even many atheists will admit that the harmony of the Bible goes against the odds. 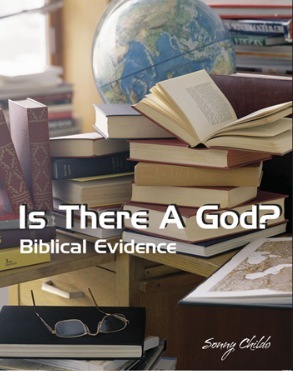 Conclusion: Perhaps the best proof of God's existence comes from the very book which He inspired. Both Zechariah and Isaiah lived over 500 years before Christ was even born. They wrote the books which bear their names and are credited for recording numerous prophecies about the death of Jesus. The ancient book of Psalms, which is also rich in prophecies, can be dated even earlier than Isaiah and Zechariah. Even though these men lived so far apart in time and predicted events that would occur hundreds of years after their deaths, the harmony and accuracy of their prophecies is almost unbelievable. Let's look at just a few of these amazing prophecies which predicted specific details about Christ's death long before He was even born. To begin, let's notice the money that Judas received to betray his Master, Jesus. Do you remember how much it was? If you said thirty pieces of silver, you're exactly right (Matthew 26:14-16). Do you remember what Judas did with the money after he saw that Jesus was condemned? Right again! He threw it down in the temple or the house of the Lord (Matthew 27:3-6). Now that we have all those facts straight about Christ's betrayal, I want you to notice what Zechariah wrote some 500 years before this event ever happened. "Then I said to them, 'If it is agreeable to you, give me my wages; and if not, refrain.' So they weighed out for my wages thirty pieces of silver…. So I took the thirty pieces of silver and threw them into the house of the Lord for the potter." (Zechariah 11:12, 13 - NKJ) Isn't it amazing that Zechariah recorded the exact price of Jesus' betrayal hundreds of years before Christ was even born? Do you remember what the soldiers did with Jesus' clothes after driving nails into His hands and feet? Notice what John 19:23, 24 says and then compare it to the ancient book of Psalms written hundreds of years before. Notice that John even admits that the soldiers unknowingly gambled for Jesus' clothes so that the prophecy of Psalms would come true. God really is in control! The prophecies in books such as Psalms, Zechariah, and Isaiah give more biblical evidence of God's existence. Let me ask you a question. How is it possible that Isaiah, Zechariah and the writers of Psalms could know the exact words Jesus would speak on the cross and the precise amount of money He would be sold for when they lived over 500 years before Christ was even born? Yes, I suppose some might say they were just very, very lucky, but don't you think it makes more sense to believe that there is a God in Heaven and that He helped them predict these future events? Think about it! Don't Park Your Brain! Study! Put each part of the following verses into your own words, giving special attention to those parts typed in bold italics. Explain how each verse relates to this section's topic. "Do not think that I have come to abolish the Law or the Prophets; I have not come to abolish them but to fulfill them.'" "'Let's not tear it,' they said to one another. 'Let's decide by lot who will get it.' This happened that the scripture might be fulfilled which said, 'They divided my garments among them and cast lots for my clothing.' So this is what the soldiers did." Don't Park Your Brain! Think! Speak your mind. Discuss each of the following questions objectively. What are the odds of the Bible being accurate when it was written over a period of 1600 years by about 40 different men speaking at least 3 different languages? Why do you think God used so many different men living in so many different places to write the Bible? Why do you think God inspired so many prophecies about His Son's death instead of other parts of His life? Define the word "inspiration" and compile a list of the various ways God gave His message to men for them to record. Besides giving the Bible credibility, why else do you think God allowed men to foretell future events? Now that God's plan is complete and it has been recorded in Scripture, do you think God still gives men the power to see into the future? Back to Top of "Is There A God? Biblical Evidence"